This 1993 Rolls-Royce Silver Spur 4 Door Sedan (Stock # B11511) is available in our Benicia, CA showroom and any inquiries may be directed to us at 707-748-4000 or via email at [Sales@SpecialtySales.com](mailto:Sales@SpecialtySales.com). New to our Benicia showroom is this beautiful 1993 Rolls-Royce Silver Spur 4 Door Sedan with shiny black exterior paint and a matching premium black leather interior. Youll find a 6.75L eight-cylinder engine under the hood with Bosch fuel injection and an automatic transmission, plus this gorgeous example is fully loaded with power everything, climate control, cruise control, a premium sound system and so much more. Only 1,658 of these spectacular models were produced in 1993/1994 and the sedan before you today is in phenomenal overall condition. This particular 1993 Rolls-Royce Silver Spur Sedan originally sold in Palm Springs, California and it has been enjoyed by four lifetime California owners. Youll be happy to know that the premium interior, engine bay and trunk are in absolute pristine, like-new condition without any visible blemishes to detract from its overall quality. This 93 Silver Spur also has flawless body lines, excellent chrome and near perfect exterior paint. Although its been driven 121k lifetime miles, this example could almost pass for a brand new luxury vehicle due to the immaculate care its received throughout its lifetime. Additionally, this 1993 Rolls-Royce Silver Spur 4 Door Sedan delivers excellent performance on the open road with surprisingly quick acceleration, world-class handling and excellent stopping power. As the pinnacle of luxury, this 100% original example can be driven anywhere in style and comfort while turning heads wherever it goes. You simply wont find a more impressive model on the open market today- the photographs do not do this spectacular sedan complete justice. Overall, this 1993 Rolls-Royce Silver Spur is an incredible luxury sedan thats been maintained at unbelievable levels throughout its lifetime. You wont find a more impressive example anywhere nationwide at the current asking price so this one will definitely find a new home quickly. For more information about this vehicle, visit our Benicia, California showroom, give us a call at 707-748-4000, or email us at [Sales@SpecialtySales.com](mailto:Sales@SpecialtySales.com). Be sure to mention Stock # B11511as well. 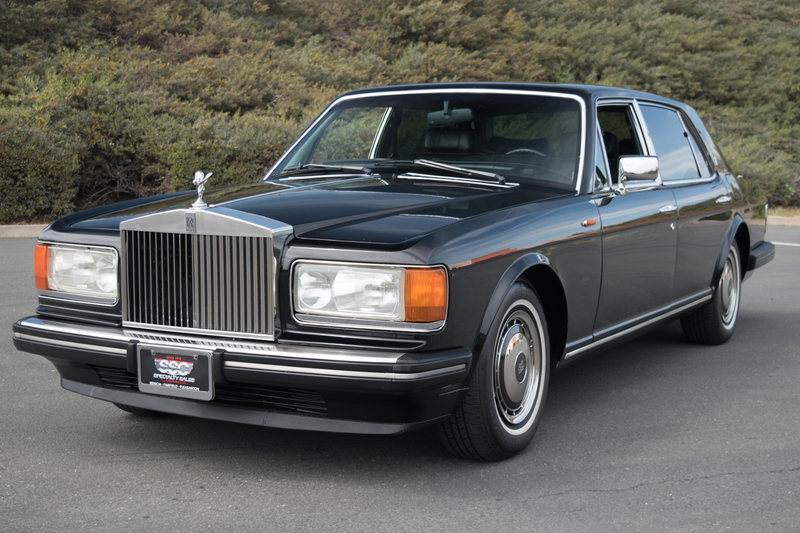 This 1993 Rolls-Royce Silver Spur was listed for sale on 4-14-19 08:34:30. The vehicle color is Black and VIN is not available	. Kindly check ad for seller's location. Seller`s stock ID is speciB11511. There are 76 other Rolls-Royce cars currently listed for sale on our website. You may desire to see what other Rolls-Royce cars are selling for by visiting our Sales Data page.